Farming was really important to the Mayas. Most people grew their own crops in small fields. Despite their size, these fields were used to grow many kinds of crops at the same time, such as maize, beans, squash and chilli. If farmers grew more than they could eat, they traded the leftovers in markets. One reason the Mayas were so successful at farming was because they studied the stars and the weather. This meant they were able to create very detailed calendars which told them what time of year to plant crops and when they should harvest them. The Mayas used this method to farm areas of land that otherwise would have been too wet to use. Small canals were created by digging out soil from beneath the water and piling up to create small islands. Maya farmers could then grow crops on these islands while they harvested the fish that swam in the canals. This is where walls are built to make small flat fields one on top of the other. It was useful for increasing the amount of farmland in mountain areas. Most terraces were small, but in some parts of the Maya lowlands, they dramatically transformed entire regions! Also known as ‘shifting’, this is when jungle areas are chopped down and burnt. The ash is high in nutrients, so it was perfect for growing crops. 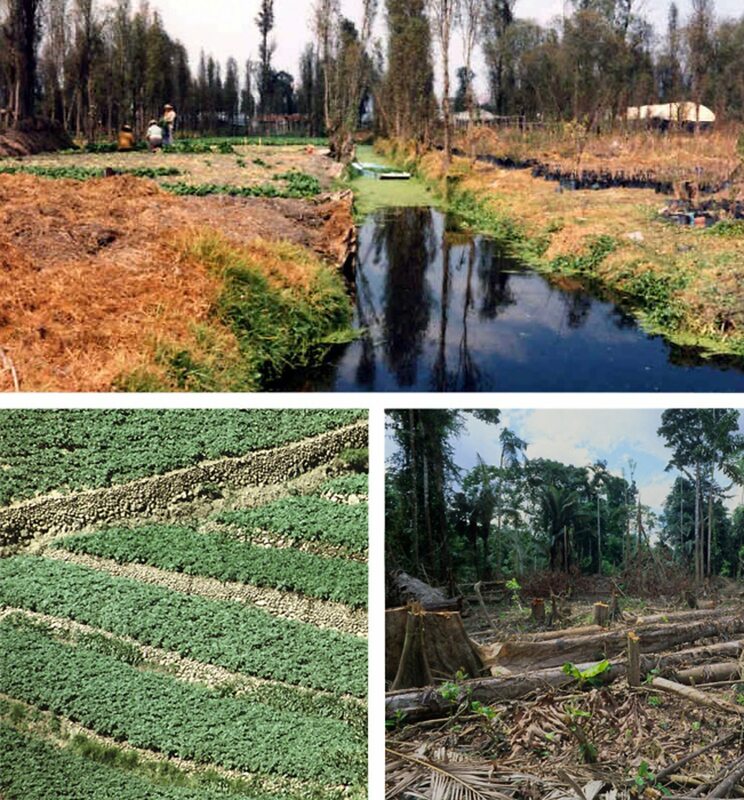 However, within a few years, the nutrients would be used up and the farmers would have to move elsewhere to let the forest regrow.